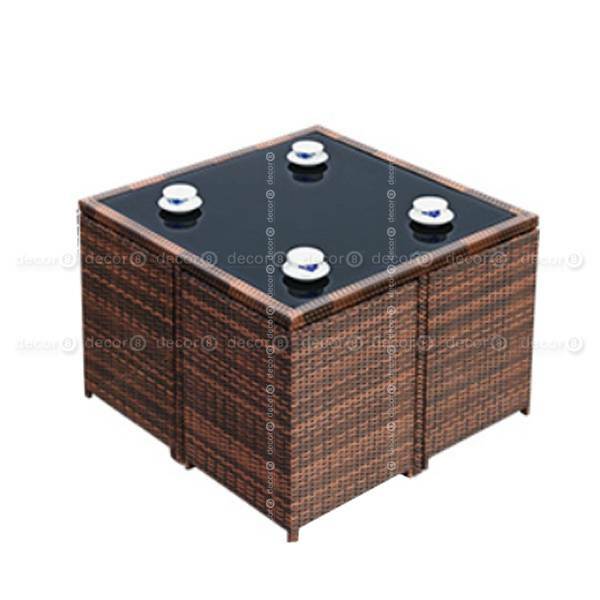 The Ethan Compact Outdoor Dining Set in Brown is a contemporary outdoor furniture set that is suitable for compact outdoor spaces such as small terraces and rooftops. This outdoor dining set consists of one table and four chairs that can be tucked in under the table into a compact shape, a space saving feature that is perfect for Hong Kong apartment buildings. This stylish outdoor dining set is made of woven PE Rattan. Synthetic rattan is durable and is UV resistant and water resistant - a great material for outdoor furniture in Hong Kong. 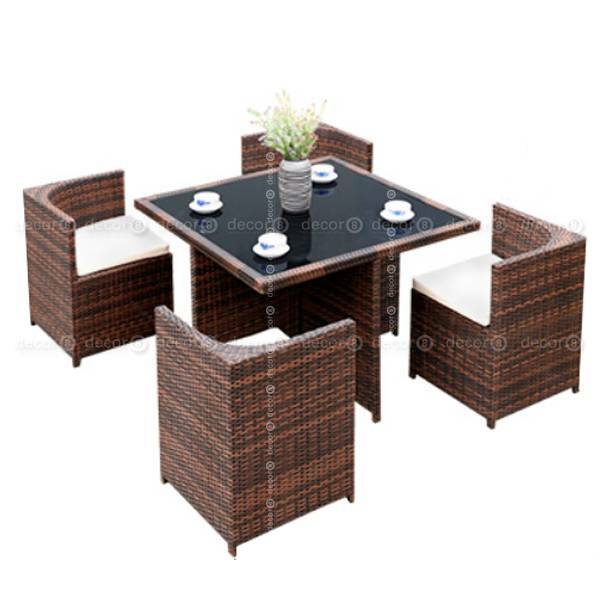 The Ethan Compact Outdoor Dining Set in brown rattan is easy to maintain and clean. The chairs come with seat cushions in water resistant fabric. Brown rattan. Off White Cushions. For other colors please contact Decor8.